Simply put: you must come up with the functional solution first and then make it look good. It is impossible to come up with an aesthetic solution and then make it function well. Function first, then Form — Form follows Function. To do it any other way ignores the rules of nature. Focusing on aesthetics in lieu of function may give you a pretty picture but it will absolutely not function well, and no matter how good a room looks, if it doesn’t function well you will be very uncomfortable living with it. If we make the rooms in your home function properly, we absolutely can make it look good as well. Just like the forces of nature create the infinite beauty we see in the world around us your functional needs teach us how your nature will shape the beauty of your room and home. From the largest formations down to the smallest microorganisms, nature has its own symmetry, one in which Form always stems from Function, that is the basis of all its beauty. Trees and mountains rarely grow straight in the air with perfectly mirrored geometric plumage or proportions. Their symmetry is shaped by the natural forces of gravity, weather, the wind, the sun, and water, which all are nature’s chisels, paintbrushes, and inspiration. It is because of these surface level elements that it is sometimes hard to see the true and symmetrical workings of nature. Nature’s most commonly observable geometry, the “Golden Ratio” (1/3-2/3), has been studied by mathematicians and artists for more than 20 centuries. This is but one of the many geometries from nature that are extremely useful in creating living environments that look and feel right. Mirrored Axial Geometry is a form of Symmetry, which is too often forced into specific element arrangements in living environment by both novice and professionals. I would argue that forced Axial Geometry, without first having a functional basis, actually throws the environment, as a whole, off the broader sense of Symmetry found throughout nature — it makes the room less, harmonious, beautiful, and balanced. Too many Architects and Designers are very fond of placing mirrored axial geometric patterns, like rectangles, of recessed ceiling light fixtures in ceilings in the middle of a kitchen. Lighting is an extremely powerful aesthetic force whose potency comes entirely from its functional qualities. If placed properly, lighting can make rooms function as intended, look bigger, and highlight the elements of a room that create its visual beauty. In most rooms, that proper placement is rarely centered in the middle of the room. In a kitchen, there’s no reason to focus light on the floor, which is exactly what the geometric pattern of lights in the middle of the room does. It also puts the light behind you when you stand at the perimeter of the room at your countertops, forcing you to work in your own shadow cast on the countertop (which is both highly non- functional and extremely thoughtless on the part of the designer). We don’t spend our time looking at the ceiling to see a beautiful pattern of lights. If lights are placed where they are functional they will light our countertops so we have adequate light for work, light our walls or cabinetry (which makes those objects recede to create the illusion the room is larger), highlight the cabinetry, tile design, artwork, and other elements we want to emphasize for aesthetics, and provide lighting for the inside of the cabinets when the doors are open. The kitchen as a whole will feel more harmonious, look more beautiful, and feel more balanced – greater Symmetry will be achieved without the misplaced use of Mirrored Axial Geometric placement of elements. Clients often ask about centering sinks or other elements on windows. Centering a sink on a window, more often than not, forces inefficient or non-functional use of storage and counter space below and around that sink. In my opinion, there is no beauty or visual relevance in centering a sink on a window. The purpose of having a sink in front of a window is to give the person standing in front of the sink a feeling of space & openness, natural light, and a view outside the window. That function is not dependent upon being centered on the entire window, it is only dependent upon the sink edges being within the edges of the window itself. What can be very annoying when looking out a window when standing in front of a sink is needing to move your head from side to side to look around the window sashes that meet in the center of a sliding glass window or many other window combinations. Placing the sink near the center of a large pane of glass instead, does make sense to insure unobstructed view out the pane. With a sliding glass window, that means placing an edge of the sink near an edge of the window, assuming the pane of glass is large enough to engulf most of the sink. I have done a trick with many clients to show them what I mean about the lack of relevance of centering a sink on a window. I ask the client to go and stand in a corner of the room at a diagonal from the sink window and I then take a water bottle and move it around the middle of the sink asking them if it is centered now. They are always unsure enough about it that I can easily influence them to say that the bottle appears centered, when I know it is not. I then ask them to come back to the window to see their error. There they can see that the only time that they may be able see if it is centered, is if they are in fact standing directly in front of a window. If you choose to read more of the content on this website and blog you will see the common thread of how prevalent these type of human choices which have no functional reason are. I consider them blunders in that they are based on just doing what everyone else has done for decades rather than asking ourselves why we are doing things. Many of these things have been done for so long they are now industry standards. They point out a fundamental characteristic in mankind that, in my opinion, is the most frightening thing about us. Our capacity to repeatedly do what we and others have done for generations, and never ask ourselves why. This characteristic limits our ability to make intelligent decisions for ourselves individually and on a larger scale provides the energy for everything destructive mankind has done and can do to itself. When discussing a home with a client, I have always told my clients when all is said and done, I’m not going to live there — you are. You are the one that needs to define how your space is going to function and what it will look like because you are the one that’s going to be living in, working in, and looking at this project every day for as long as you live in the home. You are the one we need to please, not me. I find that phrase much like the proverbial squeaky chalkboard, it makes me cringe and runs shivers down my spine. Quite simply, I don’t want the responsibility that comes with it. I don’t want you to trust me other than allowing me to educate you and teach you to trust yourself. I will empower you with knowledge and give you options to make intelligent decisions for yourself. That, I believe, is one of the two most important inputs that I bring into the equation that creates your solution. The second important input I bring is my experience in seeing the sculpture within the stone, so to speak. Every client has their own unique functional and aesthetic needs. Those needs, combined with the size, shape and other physical characteristics (particularly the limitations and potential within the space available), comprise the “block of stone” from which we need to extract a functional & aesthetic work space and living environment. I have always felt the functional and aesthetic solutions flow naturally from the careful study of all those elements and inherent limitations, ending in a truly unique design solution. Good Design stands the test of time. It fits the space. Colors and materials can change with our whims, but Design — the feel and function of the space — lasts. It is my hope you can see and feel that in all my work. I consider all the products you will eventually choose to use in your project as simply a means to an end. Unlike most showrooms you will go to, I do not have a proprietary interest in your choices and will not try to sell you anything. Some clients have a hard time wrapping their head around having become so used to everyone else trying to sell them something rather than inform them. I simply wish to educate you so you can make informed and intelligent choices based upon the real facts, characteristics, maintenance, and eventual repairs or replacement you will be faced with down the road. I will send you to manufacturer & distributor showrooms to search for products, and they will absolutely give you a sales spiel; take everything they say with a grain of salt with the assurance that I will sort it out for you and separate the facts from the sensationalized claims. Final choices need proper context to be accurate. Unfortunately, I have to spend far too much time correcting the propaganda that manufacturers and sales people spew about their products. All products will get dirty or worn, require repairs, and eventually fail. Nothing lasts forever, and they all have strengths and weaknesses that you need to consider prior to finalizing your choice. . . I want you to be comfortable with the materials you choose, knowing ahead of time what your maintenance issues are going to be and how to repair the product when the time comes. This is a rather large subject that has a few major principles that, when understood, can be applied in many ways. It also has a lot of knowledge-based physics that applies to various living space components which need to be considered depending upon the room in question. 1. There are two places that are equally efficient to store anything: first point of use or last point of use. Anything in between or out-of-the-way is a waste of time, energy, and steps. The most efficient workspace scenario is when point of first and last use are the same place. 2. Items that you use multiple times a day are best stored at or above your waist. We as creatures seem to have the inherent characteristic of always taking the shortest distance between two points that we can perceive. If we have no option to store things at or above our waist in a cabinet, rather than storing it in a base cabinet below our waist, we all opt to just leave it on the countertop where we normally use it. There’s nothing inherently wrong with that — other than the fact that a countertop’s function is for work, not storage. The more you store on it, the less space you have to work. There is an aesthetic point where the less clutter you have on your countertop the cleaner, the more organized and more spacious the room looks. And, usually, the better we feel about being in that room. 3. In kitchens, there was a study commissioned in the late 1930s by the US government in an attempt to create standards for the upcoming housing boom that they anticipated. This may have been one of the last proactive things our government ever did. Nowadays, it seems like it’s just a reactionary mechanism. That study spawned a number of important elements to consider when we work in kitchens and bathrooms. The most used, misused, and misunderstood is the “work triangle” concept. It is not a hard and fast rule that must be followed, nor has it become irrelevant because we now have appliances like microwaves that were not in the equation at that time. 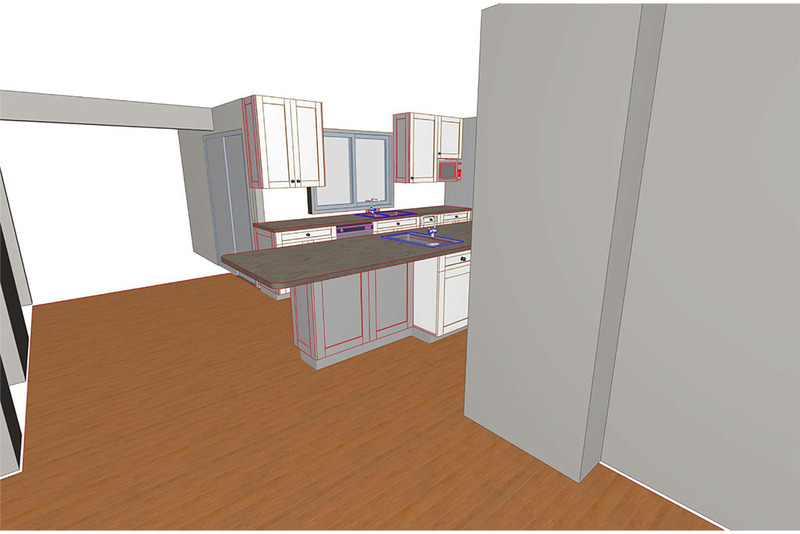 It was simply a study of walk patterns in a kitchen work environment. Nothing more, and nothing less. Those work patterns are still the same because the three main elements in that study are still the primary elements of the kitchen work space: the sink, the cooktop, and the refrigerator. The level of traffic between those elements has not changed since the study. When you look at the traffic patterns and understand that the heaviest walk pattern between the sink & cooktop is more than the volume of walking that transpires between the sink & refrigerator and the refrigerator & cooktop combined, it becomes clear that the most convenient and useful countertop in a kitchen is a countertop that is near to and/or between the sink and cooktop. It is not important just to put enough counter space in the kitchen or work environment. What’s important is where you put the counter space. If placed within the path of the traffic flow it works; if placed outside the inherent traffic flow path, it is less functional, and that functionality drops exponentially the further off the path it is placed. It is only when you combine the these principles that you can properly prioritize where the countertops and storage should be located. The purpose and sole focus of our design process is to find the functional solution that best fits our client. I intentionally try to accomplish this task taking as little of my time as possible (therefore costing the client as little as possible in design fees), with the idea that every dollar we save the client on design they can apply towards the actual implementation of the solution. 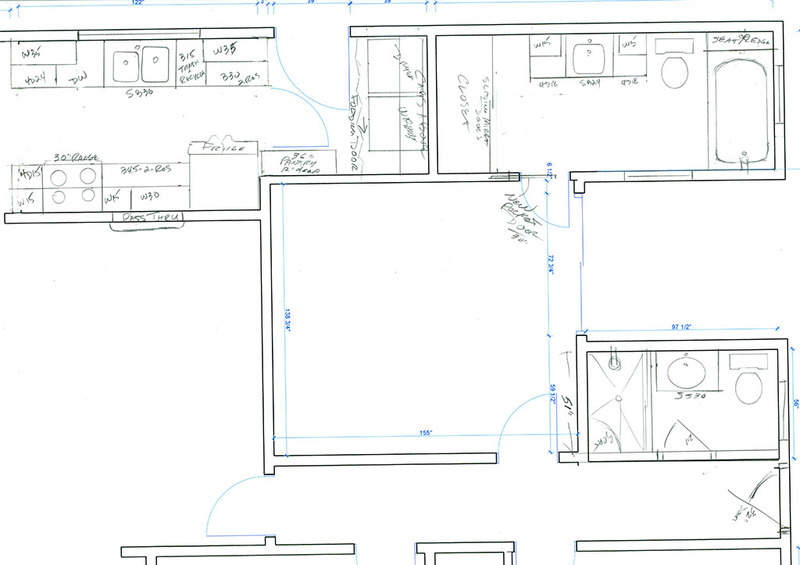 Our way of doing design is to begin with a spatial analysis in which we do simple sketches on either architectural tracing paper or on computer-generated dimensioned empty floor plans. Using these hand sketches, we create one (or often, multiple) unique possible solutions to analyze and discuss with the client to determine what ideas will work and which ones will not. 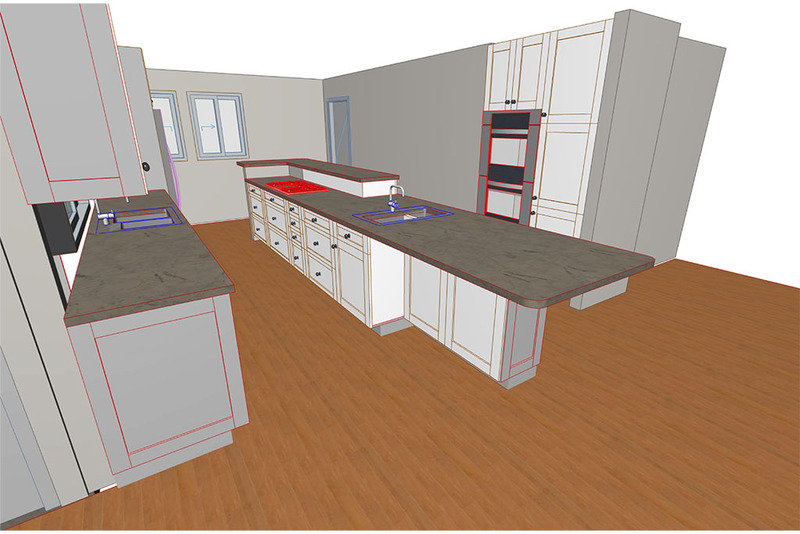 Sometimes our client will select one of the original plans, but most often the final kitchen/bath remodeling plan comes from synthesizing and refining various ideas that arise from each of the original (or subsequent) sketches and from the additional parameters we learn from the client during the process. With this type of analysis done during the design process, the client is actively involved in selecting the work to be done and well informed on the reasoning behind it. This results in the client having more confidence during the actual construction phase and eliminates second guessing. In turn, clients are left extremely happy with the outcome of the finished project instead of wondering if they made the right choices or had the best options made available to them. My business is shaped around my own personality and nature. I believe that is one of the keys for anyone to truly enjoy what they do. My nature is to be helpful and accommodating to my clients. Very early in my carrier when I had limited knowledge, that very nature led me to simply give the client exactly what they asked for. Another aspect of my nature, which I think comes from my love for science and it methods (scientific method – observe to generalize reality, and continually observe to corroborate generalization of reality), is to listen to my clients before, during, and after the project; the majority of my most valued lessons and experiences have come from listening to my clients. After more than a few projects, I kept hearing the same thing from multiple clients that bothered me. Clients often had friends or family over for dinner or a party to celebrate the new kitchen, and after their guests would ask them questions such as “why didn’t you do this?” or “did you consider this?”, the clients began second-guessing themselves about their choices, a real buzzkill for their new project. Even though I’d followed through with the choices the clients had made for themselves and had given them what they wanted, I began to feel that I was responsible, as a professional, that they were left with feelings of doubt after the project was completed. 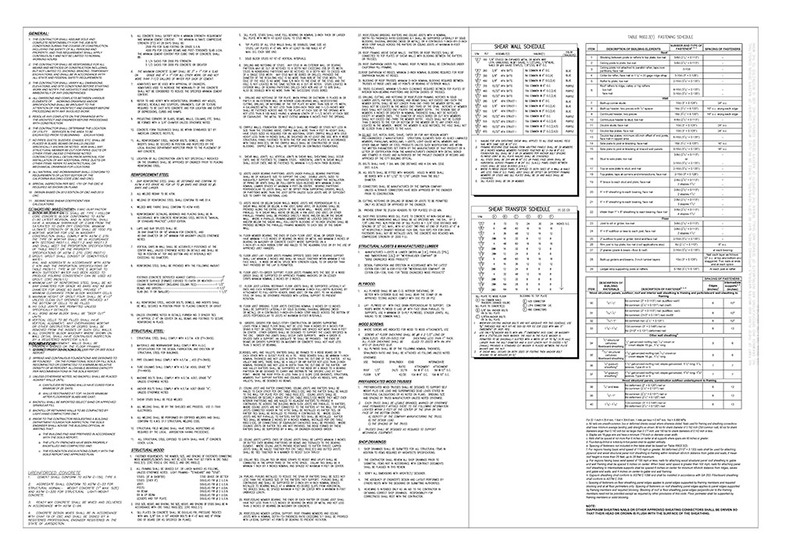 The two repeating sources of that second-guessing were the functional layout choices and material choices. 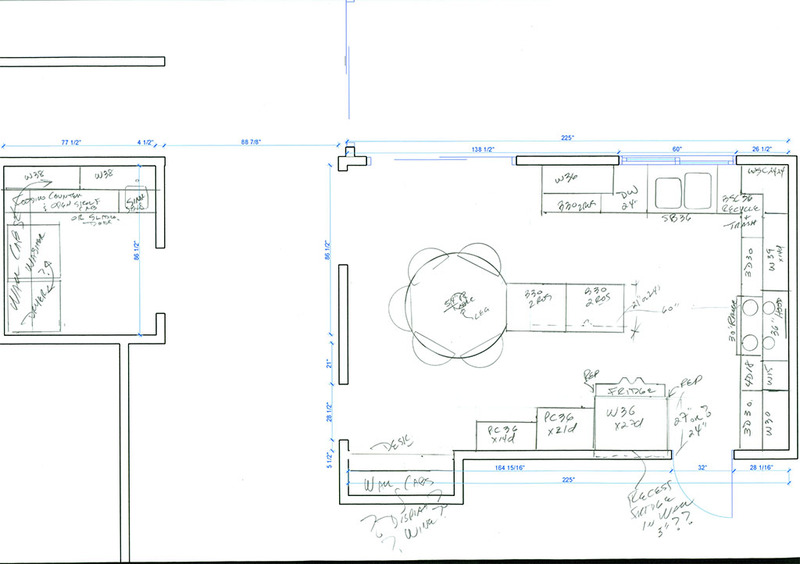 I firmly believe my biggest responsibility as a professional is to make sure my client knows the pros and cons of all their material and layout choices prior to beginning the actual construction. When clients now come to me with a plan they want me to implement, I do not follow the pack of all the other businesses that simply give the client what they ask for. I know better. It is not that I am trying to change my clients’ minds or take them to different decisions. I am trying to empower them to make more educated decisions. My design process takes more customer involvement, but the end result, as you can see from my reviews, is a level of customer satisfaction that goes way beyond an A-rating. If you read the context of the reviews, they tell why my process is so helpful to clients who truly understand the Power of Knowledge and how it ensures they make great decisions and love every moment they spend in their new living environment. If you cannot see the difference between my A-ratings and the A-ratings of other businesses, I am probably not the right person for you to call. I wish you well and I am sure you will be happy with your project. You have no idea how many phone calls I get from online customers saying they are getting bids from three or more A-rated businesses for their project. In light of all I have just said, how can I justify spending my limited time seeing these people and trying to educate them? Some people are just not ready for me or even understand or value what I have to offer. I am okay with that, I just wish all of them gave me the respect I give them. I am only being open and honest about what I do and why someone may find my services of value. Conceptual drawings are generally hand drawn, not computer generated. 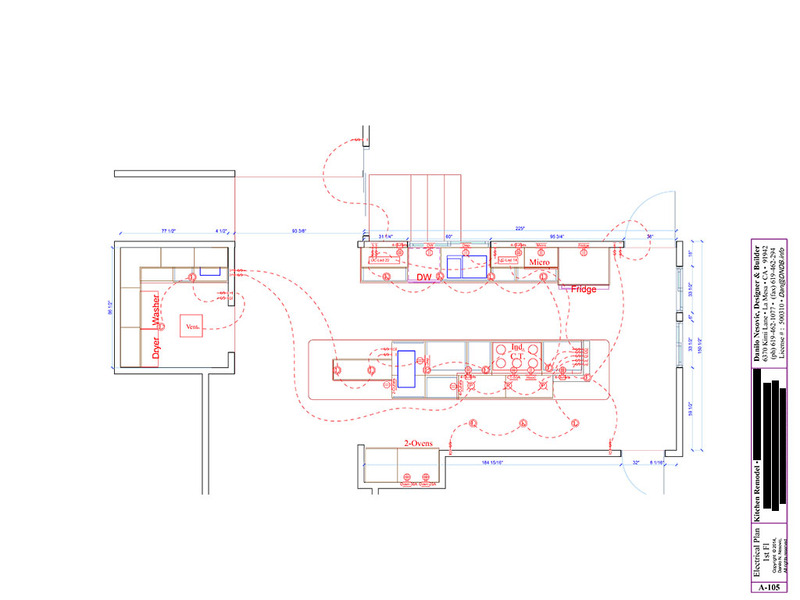 They are used to depict the specific sizes and locations of elements of a room, with notes attached that indicate the basic details and elements that are expected to be used in the project. Unlike most designers or other professionals, our Conceptual Drawings are to scale, generally with walls computer-generated and dimensioned, with only the room elements and details being hand drawn. 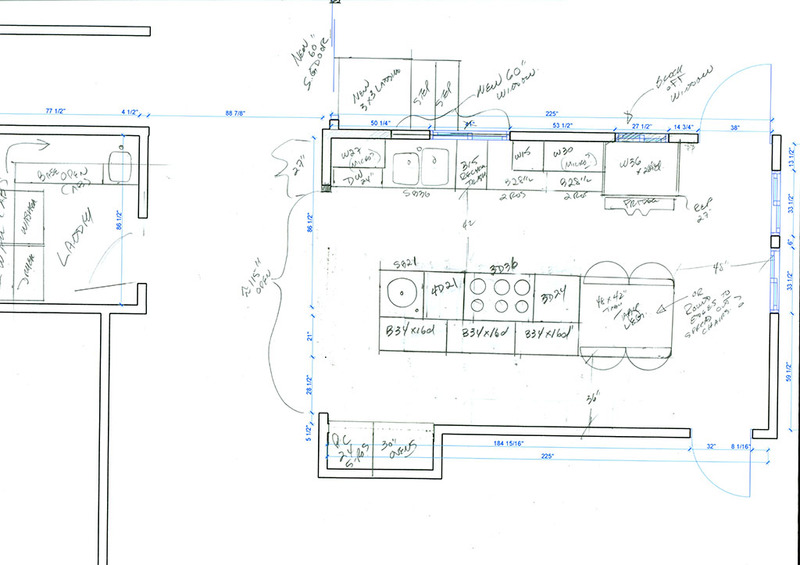 We will not do an estimate for any work without a homeowner approved conceptual drawing. Our conceptual drawings are detailed and accurate enough for other professionals to use as a basis for work they are to perform, with added input from the homeowner. We use conceptual drawings as the basis of most of our design services, with the purpose of keeping the homeowner’s design costs low so they can spend their money on the implementation of the design instead of the design fee process. Perspective drawings are generally computer generated, but can be hand drawn. They illustrate views of room interiors or building exteriors. The level of detail in these drawings, when computer generated, can run from very simple to extremely complex and detailed, looking almost life-like. They can be helpful for clients to better understand what their project will look like, but the time required for additional levels of detail can add to design costs quickly. Most programs do a good enough rendering with little added input for a client to get a good feel for the project. We only generate these drawings for clients after they have approved a conceptual plan and also given us the go-ahead to produce our detailed project plans and specifications, because they approved our estimate for us to build the project, or a client has purchased our detailed plans. Note: for do-it-yourself individuals or clients who plan to have another contractor to do the work, most of the cabinet peddlers and mass merchandisers have basic computer packages by which they price the project. You could take the conceptual drawing I create for you to one of them. 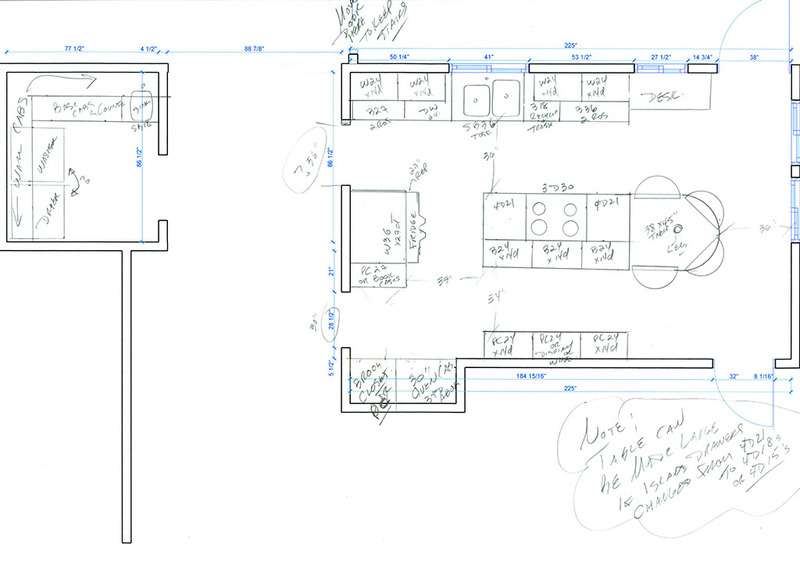 They offer free estimates and include perspective drawings at no charge. 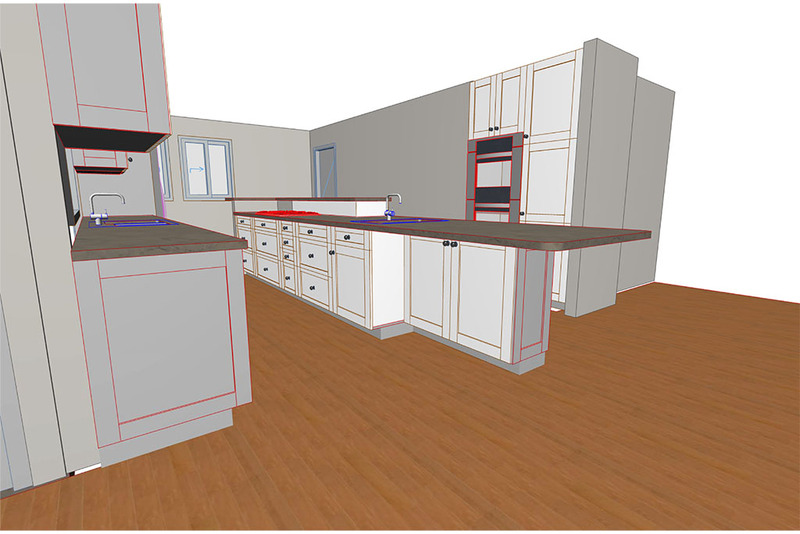 I do not use those computer packages, they do not possess the level of accuracy, detail, or flexibility I need for the majority of my work and all the customization I offer in my cabinetry. I use a full architectural program which is extremely detailed and accurate, but also takes more time to enter and adjust the elements, which is why this is not a free service from me. 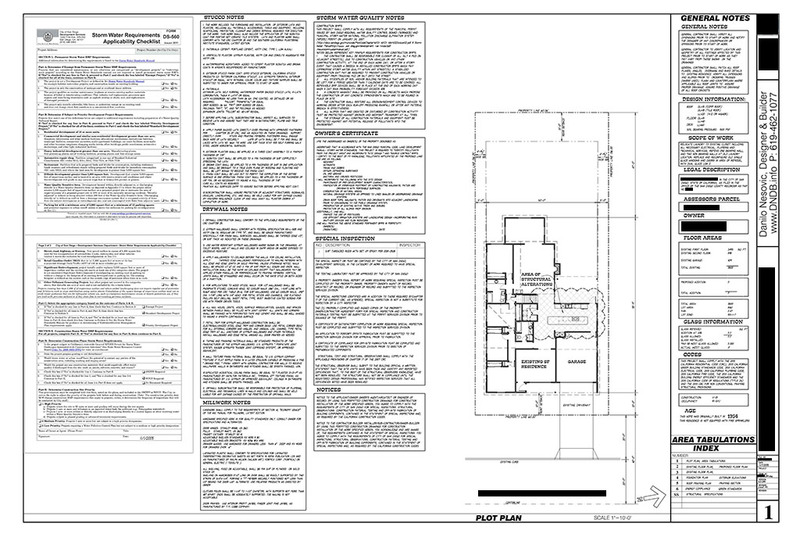 These are a full set of plans, which generally include a Demolition and Alteration Plan, Cabinet Floor Plan, Electrical and Lighting Floor Plan, and Cabinet and Room Interior Elevations, as well as a separate document we call our Specifications Document, which details the labor and specific materials being used on the project in as many as 27 distinct categories of work needed to complete the project. 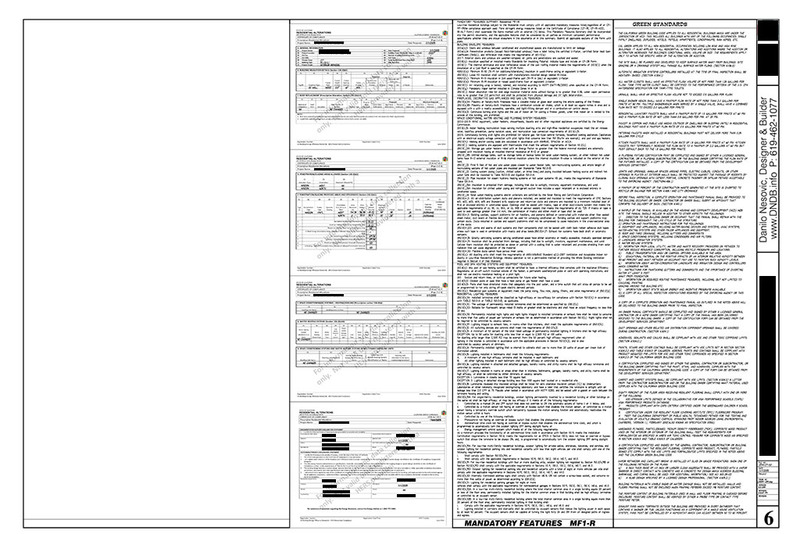 For our Design/Build clients, these documents are included in our contract price which is part of our estimate we generate after our conceptual plans are approved. These plans and documents are also available as a Design-only services for do-it-yourself clients or clients using other contractors. See Design fee schedule below. My plans and specifications are copyright protected. 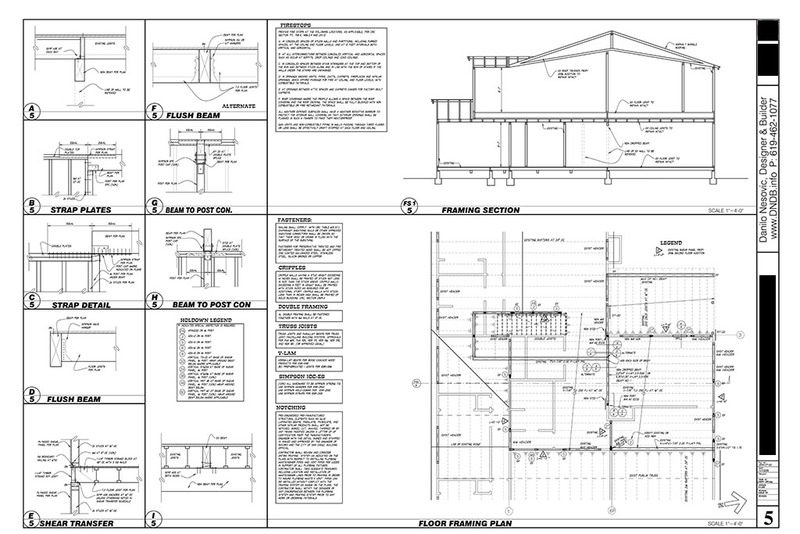 If your project requires structural alteration of your existing home and you have chosen to get the project permitted, these plans are necessary. They are completely different than, but are an addendum to, the detailed project plans and specifications listed above. Unlike the detailed project plans which go into great length describing the elements of each room, building departments are interested in different information for their various offices to approve and stamp, Zoning and Engineering being the most significant. Creating these plans is more expensive than any of the others listed here because the level of detail needed in these plans is ridiculous in my opinion. When I first started my business in San Diego in 1977, I was able to go to the San Diego Building Department with a simple floor plan hand-drawn on a single piece of graph paper and get a permit for a room addition at the counter in one day. Now, it seems we almost need to recreate the entire home in a 3D model for them to even begin their process, which takes weeks and numerous appointments with various departments to get clearance. Projects that include electrical, lighting, plumbing changes, or new shower/tub walls and pans but do not include structural alterations do not generally need building plans, but the local building department does require permits for those modifications. They are called Non-Plan Permits. Available to all referrals from past customers and new online customers, simply mention the referring customer or online source when you schedule this consultation (past clients receive this at no charge on new projects they are considering). For the rate of a single hour, referrals and prospective clients receive a two hour consultation session. The purpose of this consultation is to both learn client’s needs & budget and educate the client about the options available to them to help better understand any inherent limitations posed by the space available as well as functional and aesthetic solutions to overcome those limitations. Material options and key remodeling information for homeowners are also discussed in this meeting. 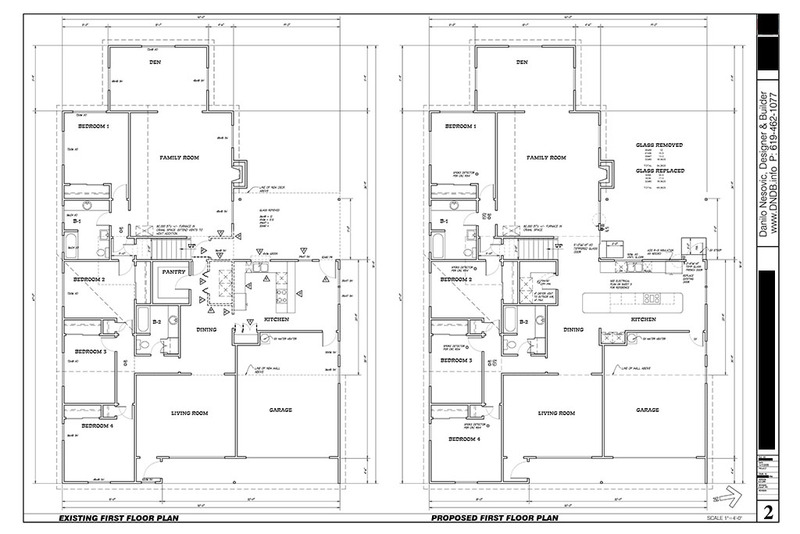 Conceptual drawings are generally not included in this package, unless the room is extremely small and/or the solution very simple (one plan, one room). This meeting can evolve into one of the other packages below at the client’s request. *for a phone consultation, client must supply to scale drawings with measurements and photos of area for my review and approval prior to scheduling phone appointment. Q: Why do you charge for design consultations when other remodeling businesses do it for free? 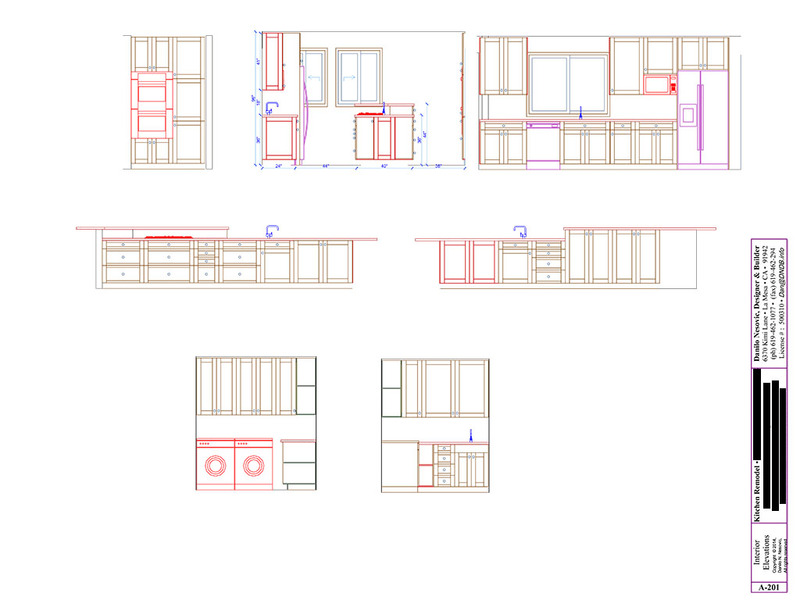 DIY client who needed input and direction for his small kitchen project. 1. Includes 2-hour initial in home consultation as listed above, often starts there. 2. Accurate measurements of the room are taken and put into my computer so I start with an accurate-to-scale blank floor plan of the room. 3. I take what I learned from the client and create conceptual drawing(s) (often more than one) on top of the bare computer generated floor plan. 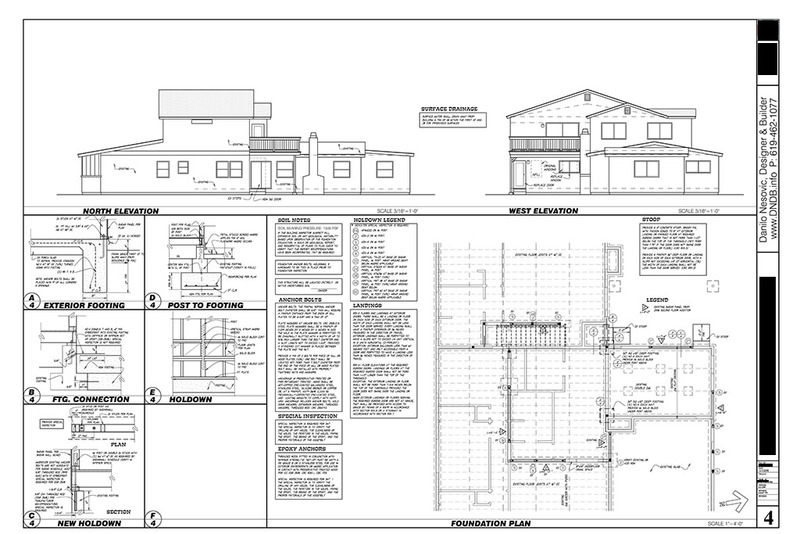 This hand drawn process over the computer generated plan, saves an enormous amount of my time and create numerous options for the clients to evaluate. 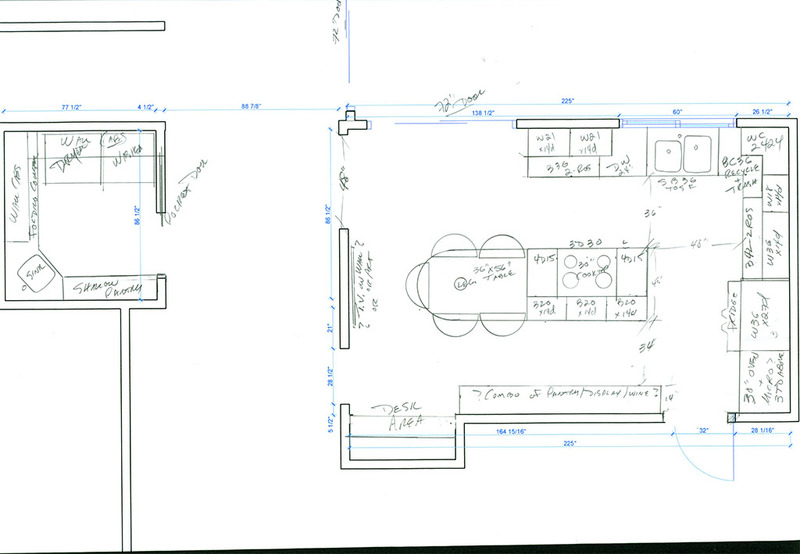 Scans of these drawings are then sent via email to the client for a pre-review. 4. We then schedule a phone call or in person meeting, at the client’s discretion, for me to lead the client through the pros and cons of each of the options drawn (and all the nuances and other options not drawn) which should be considered. I try to get the client to mentally walk through each option and try to make their decision process easier by simplifying their understanding of the possible solutions so they can make an educated decision for themselves. Even though the focus of this meeting is on a functional solution, we also talk about the viability of each plan regarding making it look good as well. The ultimate choice is always the clients and it includes the functional and aesthetic values that fit their need. In this meeting I always learn exponentially more about the client, their needs, and decision making process than in our initial meeting. 5. Once in awhile, one plan hits the client’s sweet spot with minor revisions, but more often than not either a synthesis of various ideas from the many we reviewed or an entire new path is revealed in the meeting above and a final set of conceptual drawings are created and given to the client for approval. 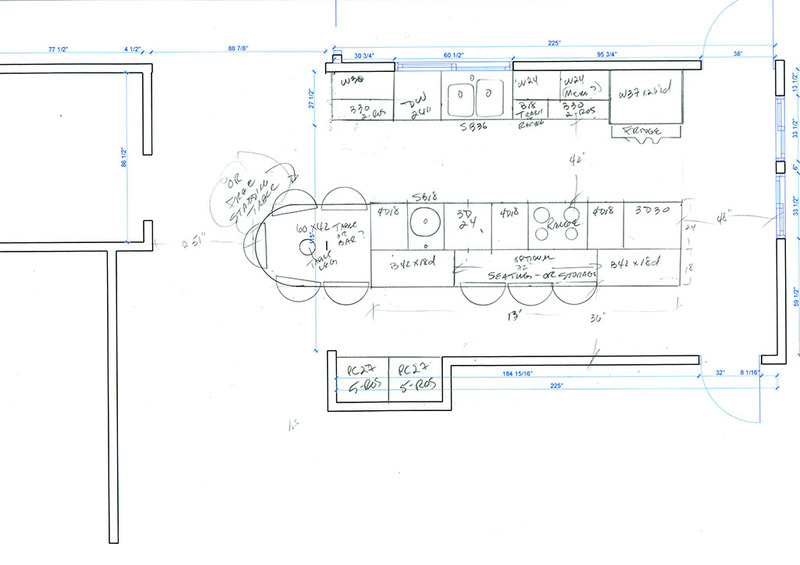 Once this final plan is accepted by the client, the design clock goes off. This $500 package is based on my taking only 5-6 hours of my actual time with client or on the computer or with a pencil in my hand. I have gotten very efficient and successful at doing this and easily 90% of the time no additional time or fee is required for design. If a client is having an unusually difficult time making decisions and my time increases. I will notify you in advance, not after the fact that if you wish me to continue, more fees will be required to proceed. Same as above but for multiple rooms. Price will vary but will be stated in our initial 2 hour meeting, if the client chooses to proceed. With the conceptual solution in hand, I can then begin pricing the implementation of the plan and the client can choose between various material options which help them meet their aesthetic and budgetary constraints. Or the client can take the conceptual plans and give them to another contractor of their choice, as a basis for that contractor to do the project. These are the same plans and specifications we use for our client contracts. It is included in our estimate and contract price. It can be purchased as an add-on after and in addition to conceptual plans you purchased. We do not sell these to people who have not had us do the conceptual plan first. As necessary, price is quoted by project and varies greatly depending on project scope. I only provide and price these plans for project I have already designed and provided the contractual plans and specs for. These charges are in addition to prior fees. On my design build projects, this fee is included in the estimate for that project. 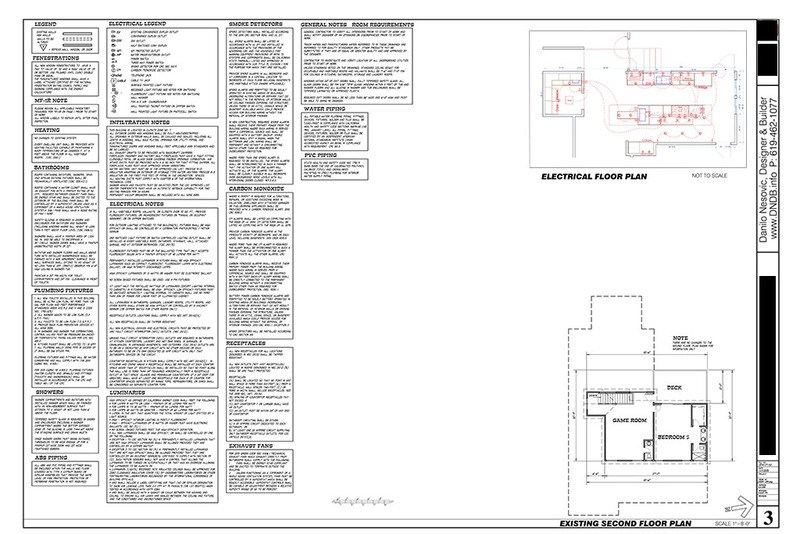 For clients just looking for these plans, there are engineers and draftsmen I can refer you to.